Animal Loving Friends manages several feral cat colonies, and we continue to be asked to help more, but we have reached our limit of available resources. and the cats desperately need your help! 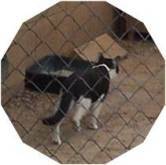 Volunteers are needed to set and monitor humane traps, transport cats to/from vet appointments, and provide food and water after the cats are released to their colonies. Please visit our Volunteers page to get started. Feral cats are undersocialized (not tame) cats who were born outside and have been forced to find food and shelter where they can. They are afraid of humans and may risk their own lives to avoid contact. They often live together in groups, called colonies. When they are left unaltered (not spayed or neutered), they continue to reproduce, which leads to fighting for territory and mates. The food supply is often not enough to support large groups, and many suffer and die of hunger or injury. Become a feral cat caregiver and "adopt" a colony that you and your friends maintain. Caregivers provide regular food and water to the colony, and stay aware of the number and condition of the cats in their care. They trap any unaltered cats and take them to the clinic. There, the veterinarian will spay or neuter the cat, and remove a tip of the left ear for easy identification in the future. When the cat has recovered, the caregiver releases the cat back to its colony, and continues to provide food and water. There are several other ways that you can help. Perhaps you have a flexible work schedule and can drop off cats at the clinic, then pick them up later in the day. You could have a garage sale or bake sale to benefit ALF's feral cat colonies, and help with the cost of sterilization. Donate FOOD, humane traps, money for veterinary care. These are just a few of the easy ways to help the plight of homeless, unwanted cats in your community, and aid in the fight against overpopulation. Knowing that you are saving lives and making a positive difference in your community is very rewarding. Get started today by visiting our Volunteers page. 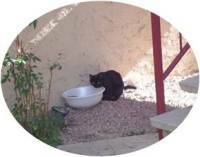 You can learn more about Feral Cats in FAQ.